Fraser Jones used to find controlling bovine viral diarrhoea (BVD) within his herd was a challenge. But since working with his vet Oli Hodgkinson of Trefaldwyn Vets, he has been able to control BVD and reduce his antibiotic use by 30%. 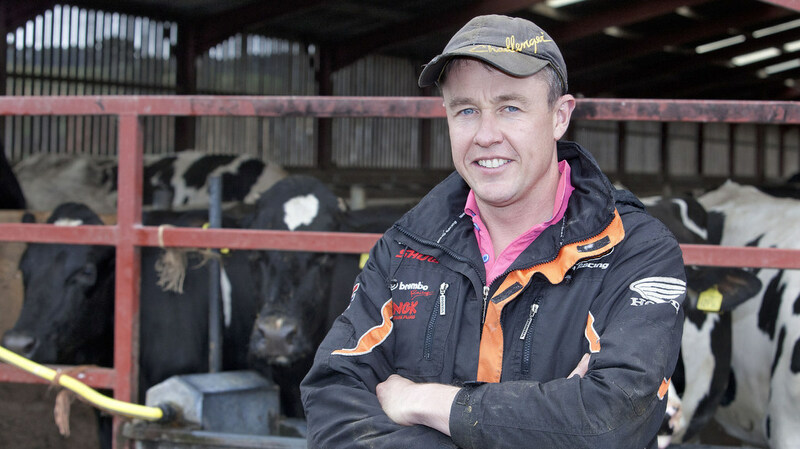 Fraser Jones manages 1,000 Holstein/Friesians across three dairy sites and used to find controlling bovine viral diarrhoea (BVD) within his herd was a challenge. But since working with his vet Oli Hodgkinson of Trefaldwyn Vets, he has been able to control BVD and reduce his antibiotic use. “I would urge other farmers to work closely with their vet to develop an effective vaccination protocol along with BVD testing. Since eradicating BVD we have reduced our antibiotic usage by 30 per cent, further reducing the cost of disease on our business. “Working with Oli we now have a vaccination plan in place for all animals as part of our herd health plan. “We also test using the BVD snap test and bulk milk testing. The snap test allows us to assess a number of cattle quickly and identify any PI (persistently infected) calves within the herd. “The bulk milk test looks at antibodies to see if cattle have been exposed to a PI. This combination of testing helps us to identify if both cattle and calves have been exposed to the virus. “Calves identified as PI are culled and their dams also tested,” says Fraser. Vet Oli Hodgkinson explains that by testing in conjunction with vaccination they have successfully been able to control BVD successfully and haven’t had any PI calves for the past two years. “It’s taken us three to four years, but we’ve annihilated BVD from the herd which I see as a huge success. “By controlling BVD the overall health of the cattle, particularly the calves, has benefitted, and fertility has increased. Recent PD testing showed levels of around 80 per cent, compared to 30 per cent previously,” says Oli. Visit www.bvdfree.org.uk for more information on BVD and how to achieve a BVD free herd. Identify the status of your herd by testing all new animals (including calves, replacement heifers and bulls. Cull all PI calves as they are the greatest source of infection to other cattle. Work with your vet to implement a vaccination protocol as part of a herd health plan.